Ile-Ife sculpture. Nigeria, 11th-13th centuries. 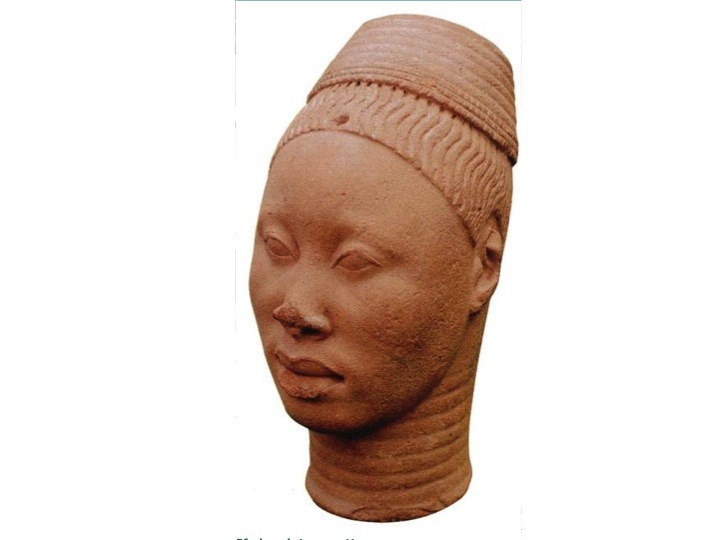 Included in ICOM Red List of African Archaeological Objects. ICOM is the international organization created in 1946 by and for museum professionals. It is composed of more than 35.000 members and museum professionals who represent the global museum community. ICOM covers a wide range of activities in order to respond to the challenges that museums face worldwide. Such activities are developed by National and International Committees dedicated to various museum specialities. The fight against illicit trafficking of cultural goods is one of ICOM´s priorities. ICOM has adopted the ICOM Ethics Code for Museums, in order to ensure the fair acquisition and transfer of collections. ICOM International Committees contributes to this mission by training museums personnel to protect heritage and fight illicit trafficking. The ICOM Observatory is an innovative platform facilitating contacts and close cooperation among law enforcement authorities, researching institutions and other external experts in this field. The ICOM Red Lists classify the endangered categories of objects in some countries or regions of the world. The One Hundred Missing Objects collection presents a selection of stolen works of art in a given region of the world. The above mentioned two tools are transmitted to the police and customs officials worldwide through INTERPOL and the WCO. They are also distributed to museums, auction houses and art dealers. ICOM also holds a license to promote the use of Object ID among museum professionals. Object ID is an international standard, conceived by Getty Information Institute in 1997, to record in an structured form essential information about a particular archaeological, artistic and cultural objects. In case of theft of such objet, the information recorded in accordance with the Object ID form facilitates enormously its identification.